With the Easter holidays upon us it finally feels like spring has sprung. This half term came to a close with the Prefect Inauguration and Awards Ceremony on Wednesday - as always a lovely celebratory event enjoyed by staff, parents and pupils alike. We wish everyone a good Easter break and look forward to welcoming pupils back to school on Monday 29 April for the start of the Trinity Term. Watch out for the next edition of the Flagpole on Friday 3 May. Our Calendar for Trinity Term 2019 will be in the post to you shortly. Please remember that any amendments to it will be found on the on-line calendar, accessed via the Parent Portal or the website. As we come to the end of another incredibly busy term, I want to thank you for your continued support for the College. There are many highlights as always, but some that stand out for me are: the numerous successes on the sports field, the wonderful performance of Little Shop of Horrors; the tremendously enjoyable Oscars ceremony and the mammoth effort by over seventy Sixth Form students and staff to raise money for Mary’s Meals by walking 24 or 40 miles over recent weekends. Donations are still coming in and we are hoping to raise over £10,000 with your continued support. We are incredibly proud to hold the UK school record for raising money for this wonderful charity. As the current prefects and subject ambassadors step down I must, on behalf of the whole Princethorpe community, thank them for all they have done to make Princethorpe a better place. Lizzie and Tom have been wonderful heads of school and tremendous role models for us all. We thank them and all the outgoing prefects and ambassadors for their time, effort and dedication towards making Princethorpe a better place. As for our new prefects, we congratulate them for being elected to their roles and ask that they remember there are many fine students who weren’t elected. 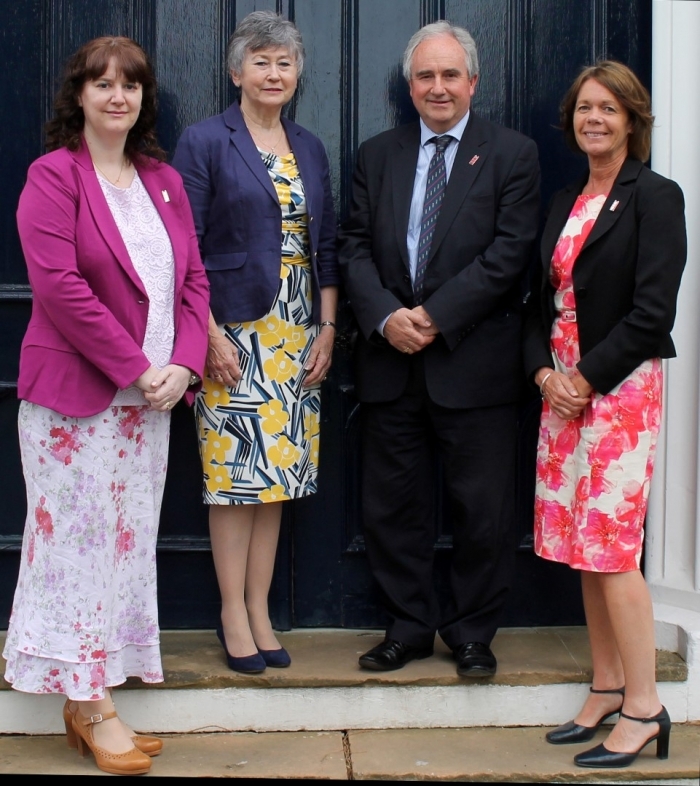 They have been called upon to serve the school and we wish them all well for their term of office. My challenge to the new prefects is to work together as a team to really make a difference to the pupils at the College. As you are aware, about 65% of parents completed a detailed questionnaire in the last term – many thanks to you all, this feedback is invaluable to us. We were pleased with the response on the most important pastoral and education questions. My child is making good progress at school – 95% agreed or strongly agreed, and on the question, Would you recommend Princethorpe to your friends, 79% of parents said definitely and 16% said possibly. Although very happy with the above statistics we are, of course, still concerned with the small percentage who are not happy; the Senior Leadership Team have read all of the individual comments that were made and we are using all this feedback to inform our planning and school development plan. For the 50 specific questions asked, the average levels of high satisfaction were 87%; well above the 80% threshold ISI Inspectors use. There were some noticeable areas where the satisfaction levels increased – E-safety education (98%), the school policy on mobile phone use (85%) and support and assistance available for parents (87%). Areas which fell below the 80% threshold were quality of food, Sixth Form girls’ uniform, Parents Evenings, parking and transport. I will give you feedback on our plans to address these areas after the Easter holidays. We are keen to continue to improve our communication with parents and will be trialling a new method of communicating rewards and conduct. Notifications will be sent to parents via an email should your child receive a reward or be involved with low level disruption during the school day. Can we ask that you discuss with your child any notifications concerning any negative behaviour and how they can improve in readiness for their next class. If you do receive a notification email regarding a low level disruption and wish to discuss it further, please contact the member of staff identified in the email or Mrs Sharpe directly. We are very keen to support our pupils in engaging with their learning in all lessons, and your support with this is gratefully received. Over the Easter holiday, please can I ask you to check your child’s uniform; there were a few pupils who were looking a bit ragged or shabby toward the end of term. Children often grow quickly and the summer term is a good time to replace any damaged, missing or ill-fitting items. The list of expected uniform items can be found within the Information Booklet for Parents and Pupils. We are now all ready for our holidays, but as we close the term, our thoughts turn to all those involved in GCSEs and A-levels; on either 15 or 22 August they will pick up an envelope with their results in. There is no doubt that the grades they achieve will inform the direction their lives will take in the future. I am sure that those parents who have children involved in public examinations will help to ensure they use the Easter holiday wisely to achieve a careful balance between work, rest and play. 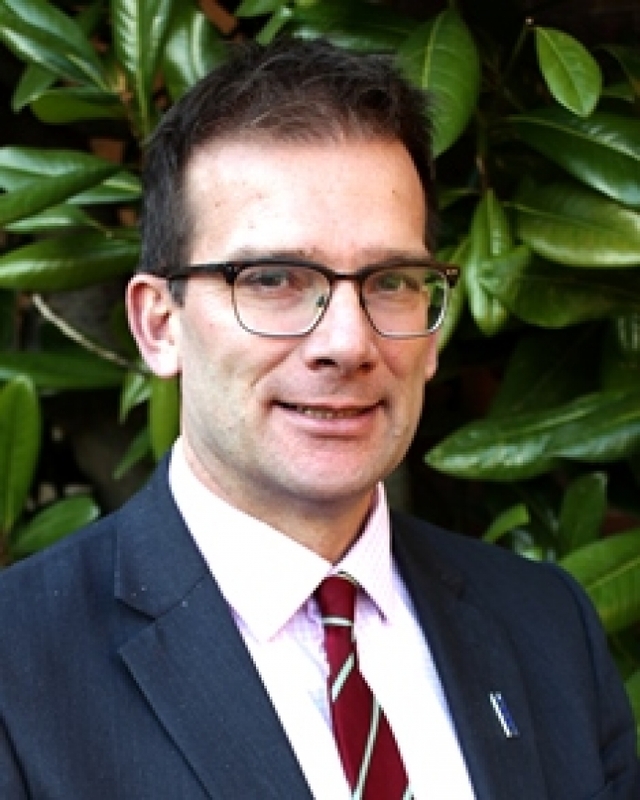 I would like to take this opportunity to congratulate Greg Hunter, our Assistant Head (Co-Curricular), who has been appointed to the role of Deputy Head at King’s School, Canterbury from September 2019. 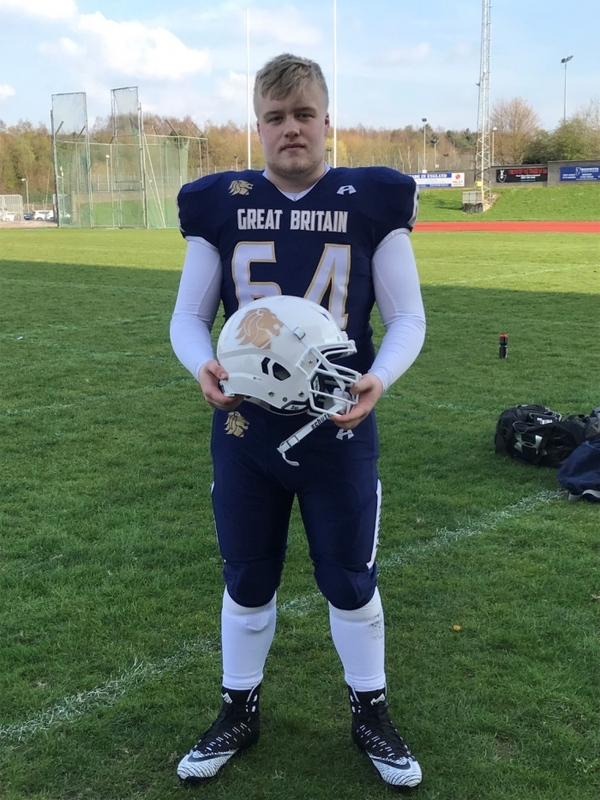 Greg has been a key member of our senior team for the past six years and has championed and taken our co-curricular offering at the College to new heights over his time in the role. The College has many wonderful staff and continually invests in staff training and development. 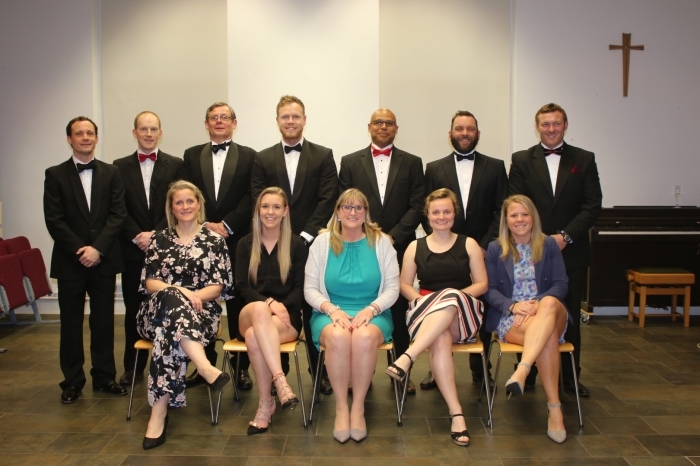 Greg’s promotion and that of other senior colleagues, Chris McCullough and Kenny Owen, who are also leaving to become deputy heads is testament to the quality of our staff and to the leadership skills and professional qualities we value so highly here. Finally, I wish everyone a happy Easter. We send our best wishes to all, but particularly to those who have only one more term left before they leave the College. Please do also keep in your thoughts and prayers all members of the Princethorpe family who are ill or in need of our support. An exciting opportunity has arisen in the Foundation Development Office for a suitably qualified person to join the team as Development Director, to lead and progress the momentum achieved over the past three years, including the recently launched Science Campaign. Since 2016 the Foundation has been very fortunate indeed in having benefitted from the outstanding service of Rachel Hadley-Leonard, Foundation Development Director. Sadly Rachel is moving on to take on fresh challenges and to spend more time with her family. Rachel (pictured far right), together with Alex Darkes, our Assistant Head (Development), supported by Loretta Curtis, Development Assistant, and Catherine Rogers, Database Assistant, has very successfully established the Development Office, formulated our strategy and embedded a culture of giving across the Foundation. Their initiatives include a bursary campaign, regular giving and the recently launched Capital Campaign, in support of the new Science Centre. We are tremendously grateful to Rachel for all her hard work, inspiration and good humour and for putting the Foundation's fundraising efforts on such a sure footing for the future. 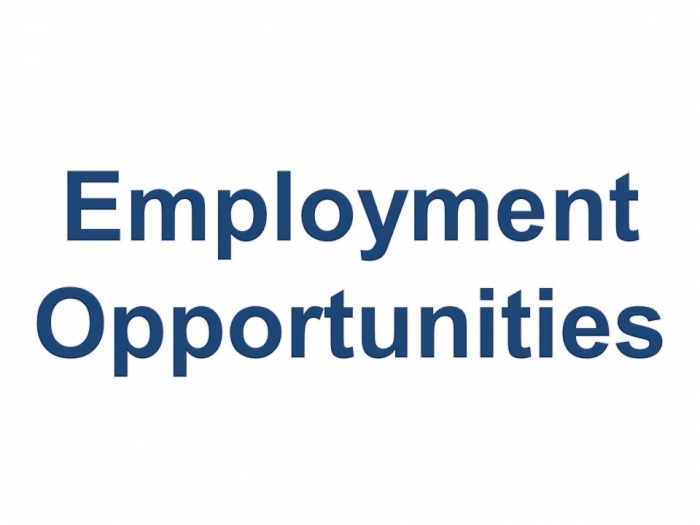 If you are interested or know someone who might be interested in the role, more information is available here, the deadline for applications is Monday 29 April and interviews will be held on Tuesday 7 May. 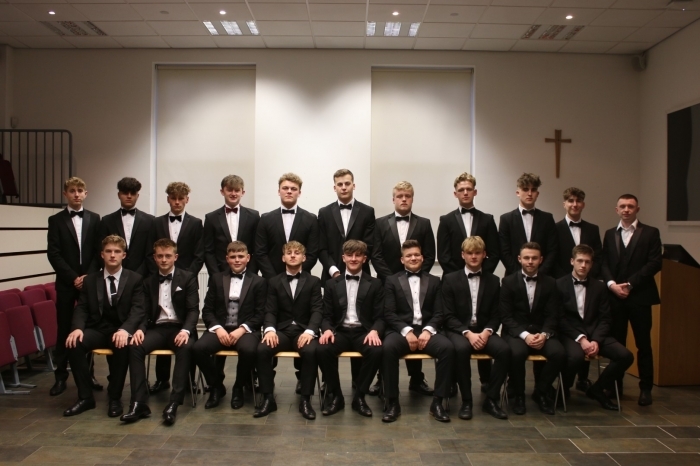 The new Princethorpe College Prefect Body for 2019-2020 was formally inaugurated into their roles in an emotional ceremony on the last afternoon of the Lent Term, Wednesday 10 April. Parents and friends of the new prefects were invited to College for a celebratory buffet lunch before joining the afternoon’s formal ceremony. The outgoing Head Boy, Tom Warne, and Head Girl, Elizabeth Carr, gave a poignant speech reflecting on their year in office and time at Princethorpe before wishing the new Prefect Body well, and handing over the keys of office. 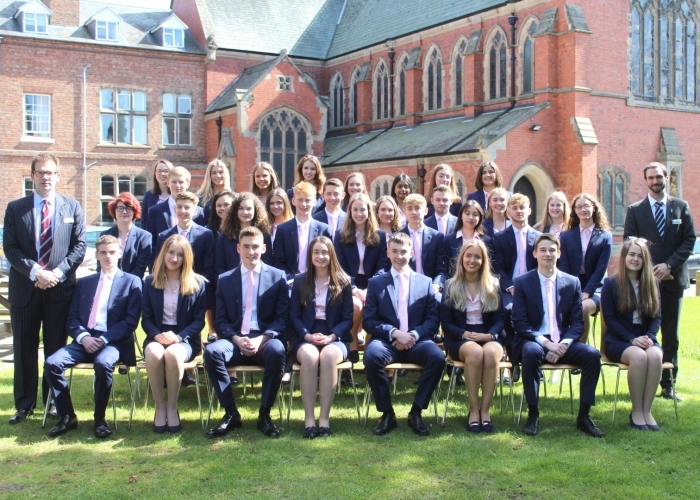 The 2019-2020 Prefects smartly attired in their blue prefect uniform for the first time, spoke to the gathered audience of pupils about their hopes for their new roles. The College wishes good luck to the new prefect body for the year ahead and extends warm thanks to the outgoing prefects, they have given great service and we wish them all the best for their upcoming exams and future endeavours. Pupils from Princethorpe College welcomed longstanding school bus driver Stan Griffin of Catteralls Coaches into assembly on Wednesday 10 April, the final day of the Lent term. Pupils wanted to thank Stan who is retiring, for his dedication in driving many of them to and from school. Stan clearly loves what he does as he has been driving Princethorpe College school buses for over 30 years; in fact, over that time, he has driven generations of children to the school. The presentation was organised by four Year 11 pupils, Louis Coleby, Will Marshall, George Ward and Matt Wills, who wanted to show their appreciation. The presentation was kept a surprise and Stan was clearly delighted to be invited up on stage to receive his retirement gift – a flying lesson. After the presentation, there was just time for a quick photo with some of his regular passengers, next to his bus, before Stan drove the S5 home for the final time. On Friday 5 April, 17 pupils visited the world's leading museum of Art and Design, the V&A in London, to participate in a bespoke fashion and textiles workshop. The Year 10 and Year 12 pupils are studying Textiles at GCSE and A-level and will shortly begin work on the non-examined assessment projects that they are required to complete as part of their course-work. Led by Higher Education visiting lecturer Juliana Sissons, a noted knitwear designer in her own right, the workshop was an excellent introduction to the current climate in the fashion industry and explored themes of sustainability, responsibility and zero-waste approaches. Taking inspiration from the museum’s exhibitions pupils were encouraged to develop their own creative thinking and making skills. At the end of March Princethorpe College and Crackley Hall School said goodbye to popular singing teacher Abigail Rhodes. Abigail had worked for the Foundation since September 2012 successfully teaching and mentoring pupils and staff through a range of classical and musical theatre examinations. In her latest set of examinations both of her Grade 8 students (Juliette Carter and Alexis Draper) gained the highest level of achievement, Distinction. Abigail has even risen to the challenge of teaching Headmaster, Ed Hester and Deputy Head - Academic, Dr Michael Reddish to sing. Abigail has always had a strong Christian faith and leaves us to pursue a new career or rather a calling as a vicar, having been in training for some months she will be ordained by the Church of England in June. 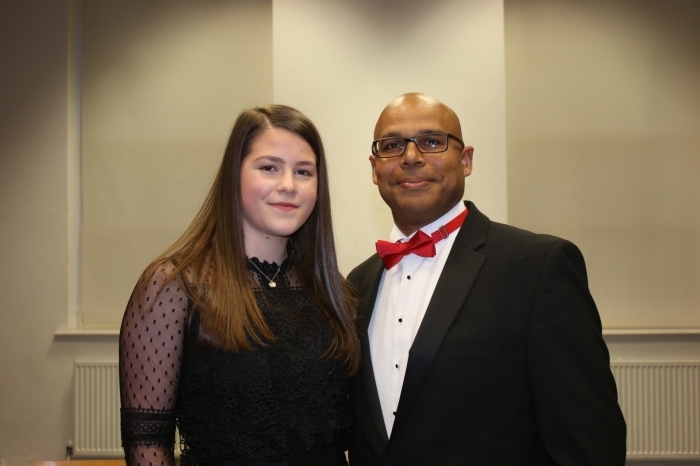 The fabulous relationship that Abigail has always had with pupils and staff as well as her professional dedication to supporting each and every one along their own musical journey has always been clearly evident so we have no doubt she will be successful in her new role. Both music departments will miss Abigail tremendously and we all wish her well. The termly Celebration of Achievement Lunch recognises pupils from across the College for contributions, commitments and achievements. This Lent Term, 42 pupils from across the year groups were nominated by members of staff and invited to the College Roundhouse by Assistant Head (Co-Curricular), Mr Greg Hunter, for an informal, celebratory buffet lunch. All of the pupils had risen to the challenge of the College’s ethos; they had done their best in many different ways, both in and outside of school. 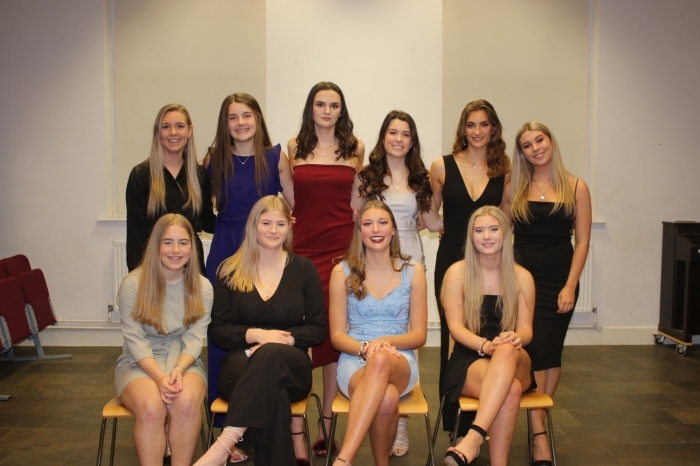 Some had been nominated for academic perseverance; others invited along for their contribution to sport or drama; a number for voluntary work and some for their contributions to their House. Mr Hunter congratulated every one of them and thanked them for the many ways that they enrich College life. 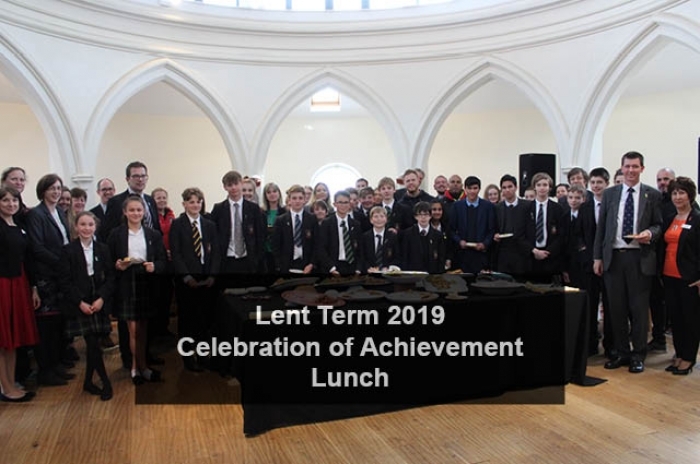 As was perhaps to be expected, the pupils seemed surprised by the attention they received and were modest when praised for the commitment, motivation and tenacity of their efforts - all qualities that the Celebration of Achievement Lunch recognises and rewards. On Friday 22 March, Princethorpe College was delighted to welcome the Right Reverend William Kenny, CP Auxiliary Bishop Of Birmingham, to Our Lady of the Angels' Chapel where he celebrated the Confirmation Eucharist accompanied and assisted by the Reverend Father Teddy O’Brien MSC and the Reverend Father Alan Whelan MSC. 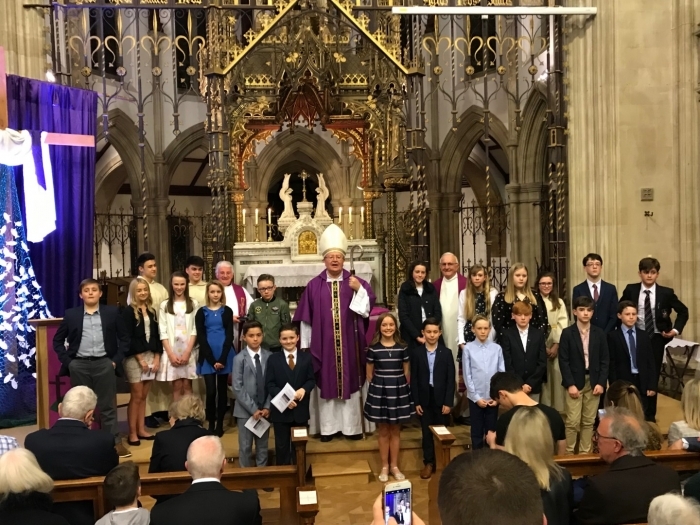 Together the Parish and College communities presented 19 Confirmandi for Confirmation. After the service, Bishop William joined the newly confirmed and their families for refreshments and a slice of confirmation cake in the Sixth Form Atrium. Many congratulations to all those who received the Sacrament of Confirmation to strengthen them on their faith journey. Do you or your child have dyslexia (or another specific learning difficulty, such as dysgraphia)? The British Dyslexia Association have a free parent pop-up event in Coventry on the 27 April 2019. Tickets are free and can be applied for here. 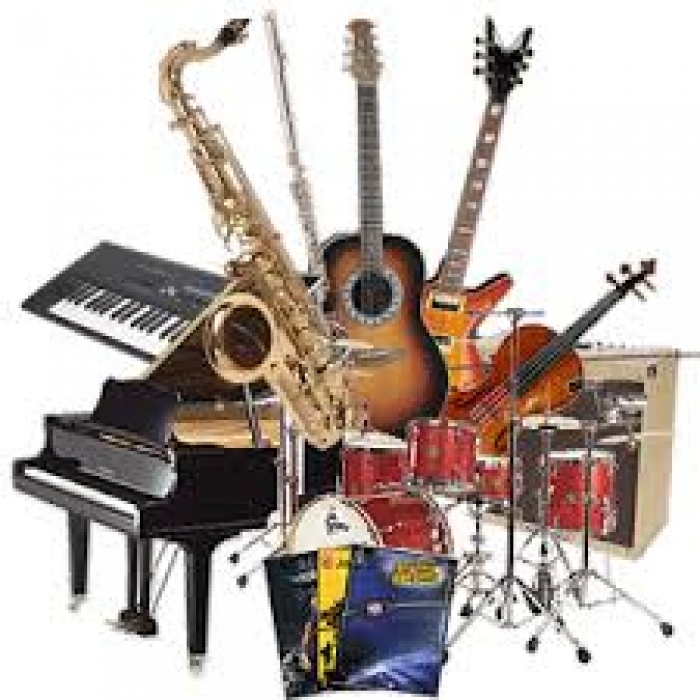 There will be a recital from some of the most talented pupils taking music lessons at Princethorpe College in the Clarkson theatre on Tuesday 7 May at 7.00pm. It will be a friendly and informal evening, and a great chance to experience some of the vast talent shown by our pupils. There will be a combination of solo and small group performances on the evening, and an opportunity after the event to meet up with your child’s peripatetic teacher for a chat if you would like. Everyone is welcome to attend, and there will be light refreshments after the event. No tickets are required but due to limitations on seating, could I please ask that you reserve your seats by clicking here. Were you a Dramatic Delight or a Sporting Superstar? Put your memory to the test at our photograph naming evening. Here at Princethorpe, we have a fantastic online archive catalogue (click here to view) showing what records we hold. To avoid having thousands of photographs titled ‘Photograph showing football team’ or ‘Photograph of actors on stage’, we will be holding a photograph naming session on Wednesday 8 May from 6.30pm to 8.00pm and we really need your help! Photographs focusing on the themes of ‘music and drama’ and ‘sport’ from the 1980s and 1990s will be displayed in the Sixth Form Centre for you to name and we would love to see as many former staff, parents and pupils as possible. To help energise those brain cells, plenty of refreshments will be available. If you would like to attend the evening or if you would like any further information please contact me at janetteratcliffe@princethorpe.co.uk. At out last meeting we discussed Homegoing by Yaa Gyasi, an engaging saga which charted the lives of slaves and former slaves over generations. This was an impressive first novel, clearly carefully researched. It depicts the complex nature of the slave trade and the way in which native communities became quite heavily involved themselves in exploitation for financial gain. The writing is controlled yet doesn’t flinch from depicting many horrors both psychological and physical, including humiliating experiences of those from former slave families who had made a new life in America. Our next meeting is on Wednesday 15 May in the library at 7.30pm. We will be discussing A Spark of Light which is the latest novel by Jodi Picoult. We are a small, friendly group of readers with broad tastes and we always welcome new faces. Please join us and bring a friend, whether you have read this novel or would like some recommendations for summer reading. On Tuesday 21 May at 7.30pm former Princethorpe Foundation Archivist, Dr Nick Baker, returns to present another illustrated talk Sir Henry Rider Haggard: Storyteller, Politician and Country Gentleman. Sir Henry Rider Haggard was only one of many extraordinary Victorians who straddled many different lives. Inspired by his first-hand experiences of Africa, he went on to become one of the most prolific writers of all time, specialising in ‘Lost World’ literature. Works such as King Solomon’s Mines and She communicated stories of lost civilisations in far off lands, and brought much needed escapism to a reading public. He did not limit himself to tales set in Africa, but also wrote about the Vikings in Iceland. Many of these stories have since been transformed into successful films. Who can forget Ursula Andress as ‘She who must be obeyed’ in the Hammer film of the same name? Haggard did more than simply feed the popular imagination. He was deeply concerned with the countryside, especially the farming communities in Norfolk, and argued for a more serious approach to Britain’s agriculture as the clouds of the First World War appeared on the horizon. This illustrated talk will examine Haggard’s early life in Africa, and loves lost, to show how they shaped his literary output. We will also consider his close friendships with other notable individuals, such as Rudyard Kipling. 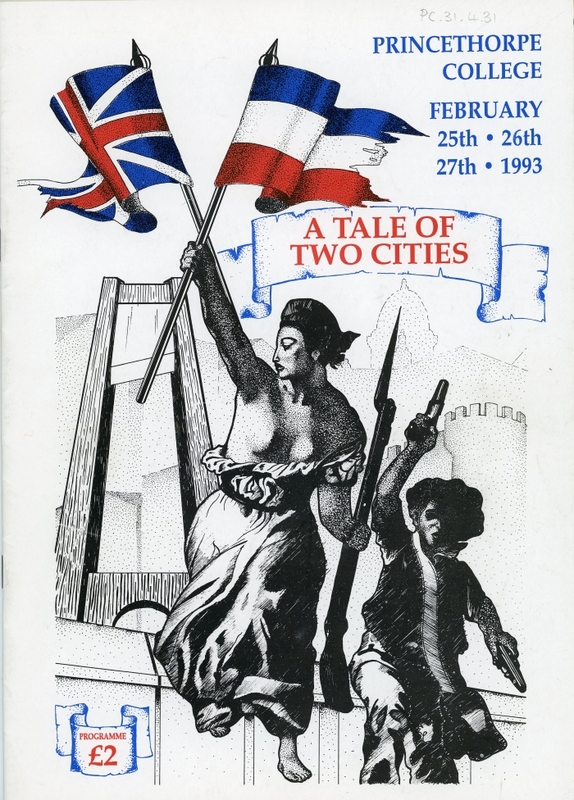 A display of first editions and signed material will also be on display. Please click here for booking form. Once again on Tuesday 2 July 2019 at 7.30pm in the Chapel Tim Campain will play a wide variety of pieces from various genres on the renowned Princethorpe Binns’ organ of 1901. This year promises a special programme to mark twenty-five years of the popular Hugh Page Memorial Organ Recitals. Please click here for a booking form. Tickets - £5.00 for each of the events including refreshments. All Foundation pupils free of charge. Year 11 parents are requested to save the date for Friday 21 June when they will be invited into school by the Headmaster for a Thanksgiving Service and Buffet Lunch. 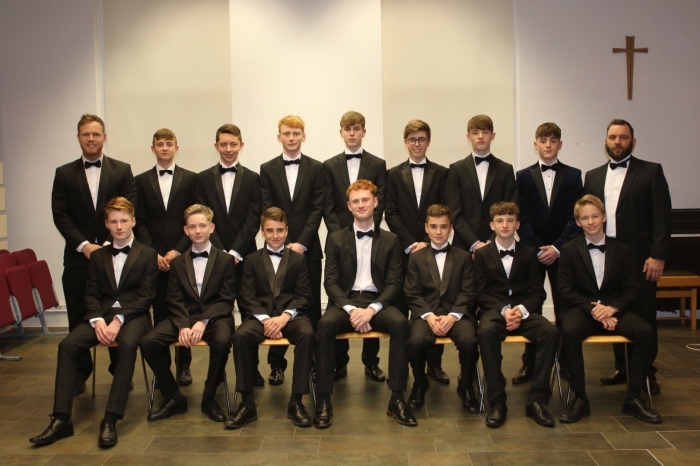 Year 11 pupils will be asked to return for the morning dressed in smart business attire, to catch up with their friends, collect their leavers' hoodies and year books and take part in other activities, before joining their parents for the Thanksgiving Service and Buffet Lunch. Further details will be sent nearer the time. 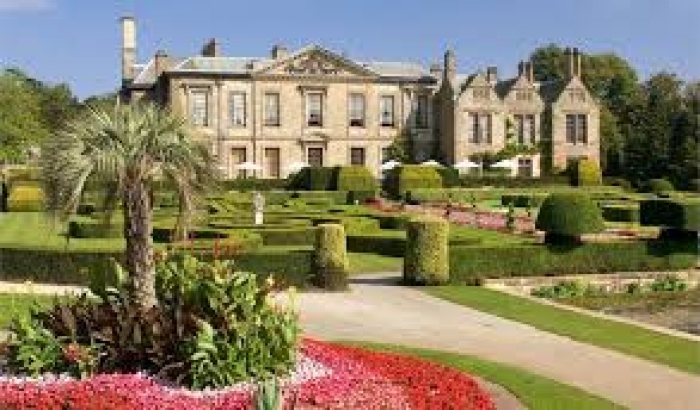 As all Year 11 pupils will be aware, this event will be held on the evening of Monday 24 June 2019 from 7.00pm until 12 midnight and the venue will be the stunning Coombe Abbey. This is a special occasion to celebrate the end of GCSEs and the dress code will reflect that. Gentlemen are expected to wear suits or tuxedos and for ladies formal evening wear is required – dress to impress is certainly the order of the day! The event will be supervised by Princethorpe staff and alcohol is strictly forbidden. The event will be for Princethorpe pupils only, guests from other schools are not allowed. The cost of the event is £60 per person, which includes soft drinks, the hire of the venue, a three course meal, and a disco. A photographer will be on hand to record the evening for posterity and photographs will be available to order at a later date. If your son or daughter would like to attend, and has not yet returned the permission slip, please ensure they are handed in to Ms Satchwell at the Student Support Hub by Monday 29 April. Please click here to download slip if required. If you have any queries regarding this event please do not hesitate to contact me. Around 60 Year 11 parents attended a special pre-GCSE Q and A Session on Tuesday 9 April in the Sixth Form Centre. The session was designed to give Year 11 parents the opportunity to ask questions about the next few months and provide practical advice and information as their sons and daughters gear up for GCSEs and Sixth Form. 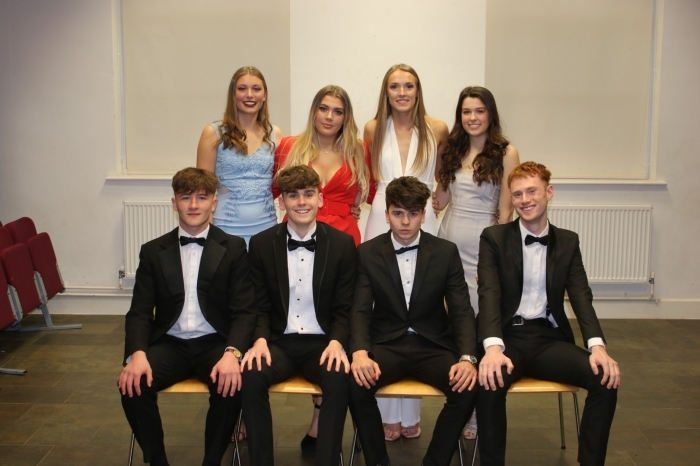 Ben Collie, Head of Sixth Form, hosted the evening along with a panel of experts, including the Headmaster, Ed Hester, Assistant Head - Academic, Dr Michale Reddish, Examinations Officer, Shellagh Dodds, Assistant Head - Teaching and Learning, Liz Pyne and Registrar, Vanessa Rooney. Topics covered included key dates, countdown to exams, exam dos and donts, coping with exam stress, revision tips, what to expect on Results Day and induction to Sixth Form including driving to school and dress code. Parents were able to ask questions in the wider forum or individually afterwards and feedback following the evening has been very positive. To view the powerpoint slides prepared for the evening click here. For the list of exam boards and subject specifications click here. Enter the board, subject and code into Google and it will take you to the correct page. Please click here for the Easter holiday homework expectations. 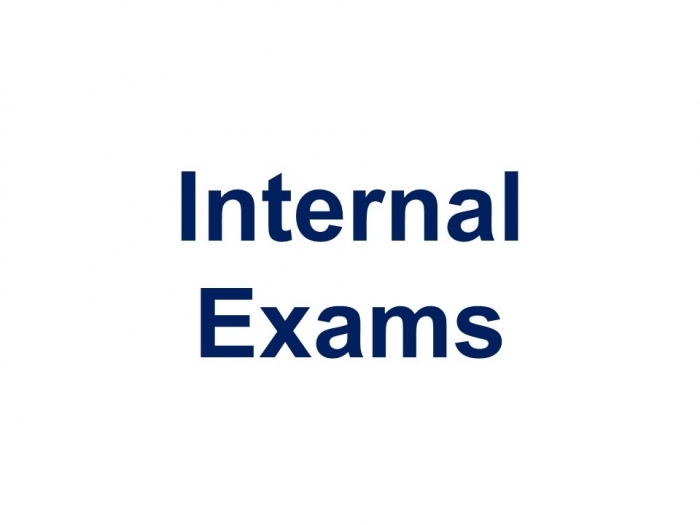 All exam candidates have now checked their exam entries and been issued with their personal exam timetable together with a copy of the Candidate Booklet. (Click here to download a copy). It is important that candidates familiarise themselves with the content of the information booklet – a key change this year is the start time for afternoon exams - now 1.10pm. This will ensure that GCSE exams finish before the buses leave at 3.45pm but many A-level exams will continue beyond this time and candidates must make their own arrangements for transport home. Candidates have been asked to look carefully at their timetables to identify any clashes or, for A-level candidates with two exams on the same day, a lengthy exam in the morning giving them less than 45 minutes break before the afternoon exam begins. All such issues will need to be discussed with me – an email in the first instance to: examinations@princethorpe.co.uk will enable me to see how many candidates are affected each day. Individual timetables can also be viewed on the pupil portal and, nearer the time, rooms and seat numbers will be displayed. For the first time this year, JCQ (the body responsible for all public examinations) have included an exam contingency day to be used if a significant, unexpected event arises nationally or locally during the exam period such that no pupils (or a large number of them) are able to take an exam when planned. Wednesday 26 June is the contingency day and crucially, all pupils must be available up to and including Wednesday 26 June in case one of their exams is moved. JCQ have made it clear that if an exam is moved and a candidate is unable to attend then special consideration will not be considered. 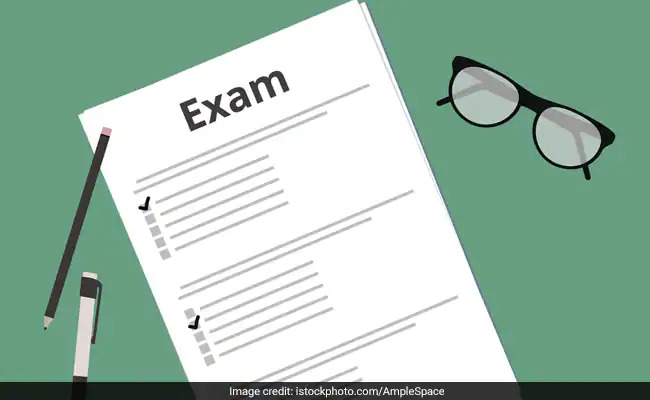 This means that even if your child has sat the first paper in a subject and then misses the moved one, the normal process of being able to ‘scale up’ the result from previous papers and make it count for the whole subject will not apply: any pupil who is unable to sit the moved exam will be given zero in that paper. In light of this, please make sure that any holiday arrangements are only booked for after Wednesday 26 June even if the last exam on their current timetable is before that date. A-level results, the College will open at 7.00am and results will be published to the pupil portal at 9.00am. GCSE results, the College will open at 9.00am and results will be published to the pupil portal at 10.00am. On both days, staff will be on hand to assist with queries and to advise on future options. Any results envelopes not collected by 2.30pm on results days will be posted home. If parents wish to have access to the exams section of the portal, this facility has to be enabled by the pupil beforehand, see the written Candidate Booklet for instructions. Please note that results cannot be given out over the telephone. If a pupil wants their results to be collected by a third party, written permission must be sent to the Exams Officer before 1 July 2019. Please include the full name, address and date of birth of the person collecting. On results day, the 3rd party will need to bring photo ID with them before results can be handed over. 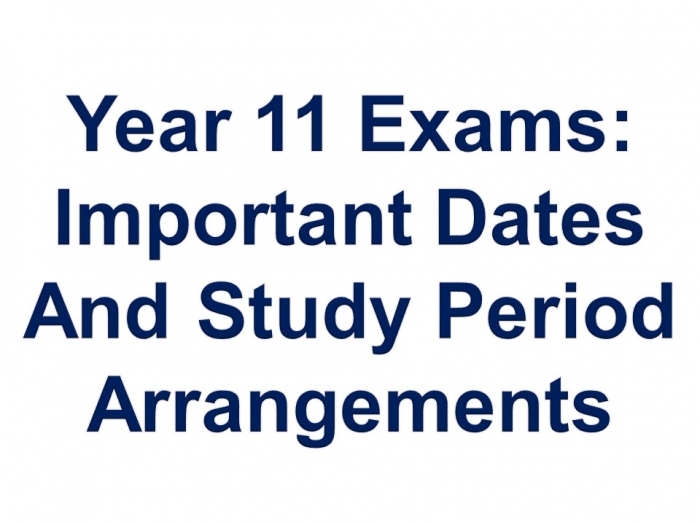 Formal lessons end for Year 11 on Wednesday 8 May 2019 and the GCSE exam period runs from Monday 13 May 2018 until Wednesday 26 June 2019. Please read the notice from Shellagh Dodds, our Examinations Officer, very carefully. It gives important information regarding exam timetables and the need for all pupils to be available up to and including Wednesday 26 June. Following the end of their formal lessons, Year 11 pupils may revise at home and come in only for their timetabled exams. 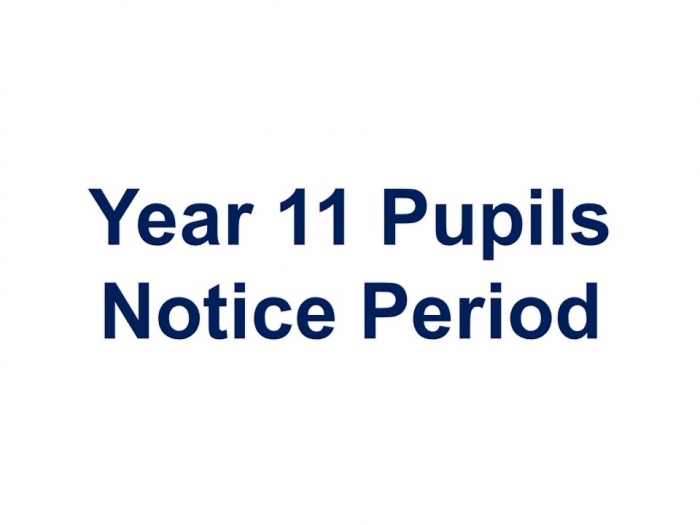 We will keep the Year 11 timetable running as normal up to Friday 17 May so if any Year 11 pupils wish to study supervised in school they can follow their normal timetable, bringing with them whatever revision materials they wish to use for whichever subject they wish to study. If they are in school they must attend each lesson on their normal timetable that day, including tutor time, to make sure we have an accurate register. From Monday 20 May onwards, rooms will be allocated for Year 11 pupils who wish to come into school to revise. They will be supervised but their normal teachers are unlikely to be available. 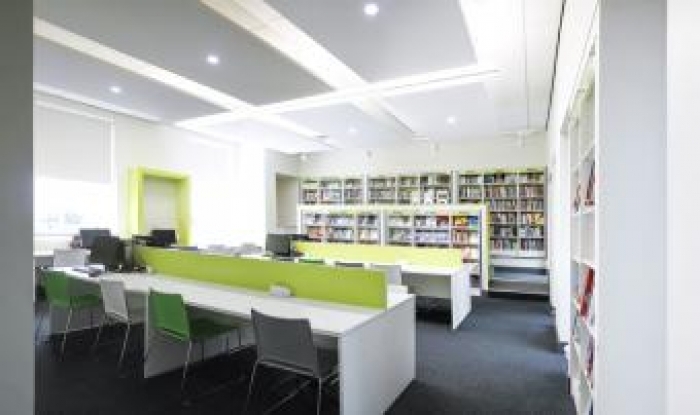 Pupils will be allocated a specific room within which to study. They are unlikely to have access to IT facilities so should bring all the material with them that they need to revise from. Maintaining an accurate record of who has come in to study and where they are is of course essential from a Health and Safety perspective. Pupils who come into school must make sure to sign in and be registered either in their timetabled lessons initially or in their specific allocated study base from then on. Any pupils who do not follow those rules will have to revise at home. For our planning purposes we need to know who will be in school on any particular day and at what times. We will shortly circulate the form below in hard copy to the Year 11 pupils. Please fill it in to let us know when your son or daughter will be in school and return it to the Student Hub by Friday 3 May 2018. Please click here for Exam Period Attendance Form. May I take this opportunity to wish all of Year 11 the very best of luck for their GCSEs. They have been working very hard and we have been delighted with the progress that the vast majority of pupils have already made between their first and second mock exams. They are on the home straight now. I am sure that they will reflect carefully on their mocks and take full advantage of the revision guidance they have received and the time they have left to prepare. As you will have seen in previous Flagpole articles, the internal end of year exams have been brought forward this year to the week prior to the Trinity half term. This will allow pupils and teachers more time to reflect on those exams and put in place detailed next steps to maximise their progress. The normal teaching timetable for Years 7-10 and the Lower Sixth will be suspended for the whole week in order for the exams to run. All pupils will receive an individualised exam timetable which will show exactly when each exam will take place. Pupils with access arrangements will be advised of specific arrangements. Exams will be conducted as closely as possible to full exam regulations so students can start to get used to how they work. Lower Sixth students are expected to be in school throughout the week; they will be able to revise silently in the Sixth Form Atrium in periods when they do not have exams. The results of these exams will play an important part in deciding on the predicted grades that the school will use on UCAS and other applications but they will of course be considered in the full context of a student’s progress and trajectory. All Year 7-10 pupils will have slots throughout the week when they can revise silently for papers later that day or later in the week. They should therefore make sure they have with them each day the relevant materials they wish to revise from. It is also a good idea to have a private reading book with them. Teachers will give guidance to their classes after Easter about the specific nature of the exams. All pupils in Years 7-10 will be assigned to a specific room (their exam base) and they will take all the exams in that base for the whole week. This will hopefully make the process as simple as possible for them. Games lessons will continue as normal for all year groups throughout the week. I wish all the pupils the very best of luck and we look forward to sharing with you how your child has done in our Exam Reports in June. If you have any questions about Exams Week, do please contact us. It has been a long and demanding term and the pupils have worked very hard. It was lovely to finish with our celebratory assemblies on Wednesday. I hope that you are able to rest and recuperate and spend some quality family time together over the coming break. 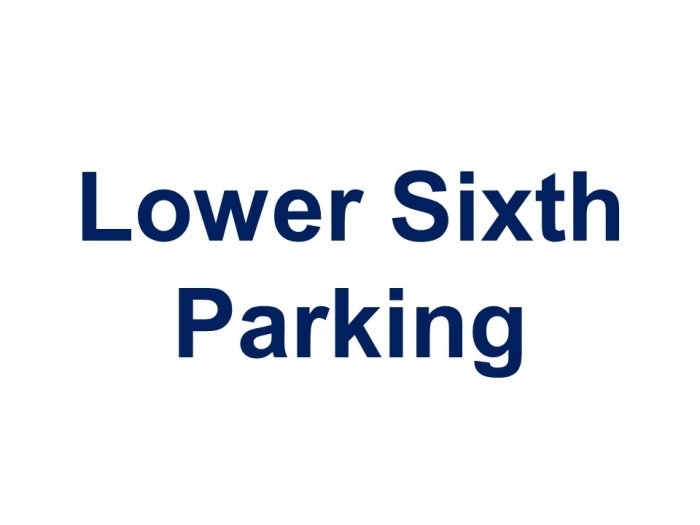 Members of Lower Sixth will be able to park at school from Monday 13 May 2019 when members of Upper Sixth commence study leave. There is an administration fee of £30 for the provision of a parking permit which provides access to parking, an electronic fob and a parking permit until the end of Upper Sixth. The charge for lost fobs is £18 and for lost discs £2. Please note that there will be a refund of £10 for electronic fobs returned to the School Shop at the end of Upper Sixth. Please note that there is a limit to the number of parking permits that can be issued. Permits are issued on a first-come first-served basis but only where the requirements detailed above are met in full. The forms to apply for a permit are on the Parent Portal and are also available from the School Shop. When completed, including the signature of a parent and the Head of Sixth Form, the Sixth Former should take them, together with their full driving licence (both the card and the paper section- if applicable) and current insurance certificate to the School Shop. 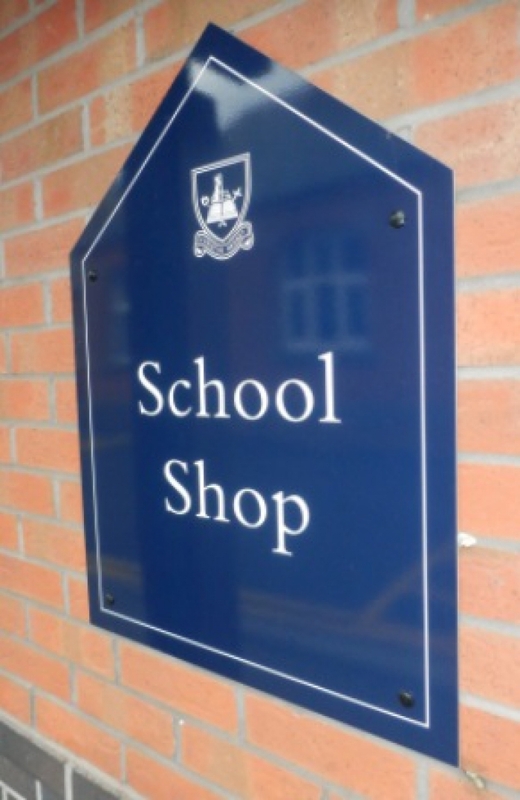 Members of the Lower Sixth are welcome to provide the paperwork to the School Shop from the start of term but permits will only be issued from Monday 13 May 2019. If the contract is broken then the permission to drive to school will be withdrawn by the school. Please note that Sixth Formers park at their own risk and that the school does not accept liability for accidents, damage or loss incurred. 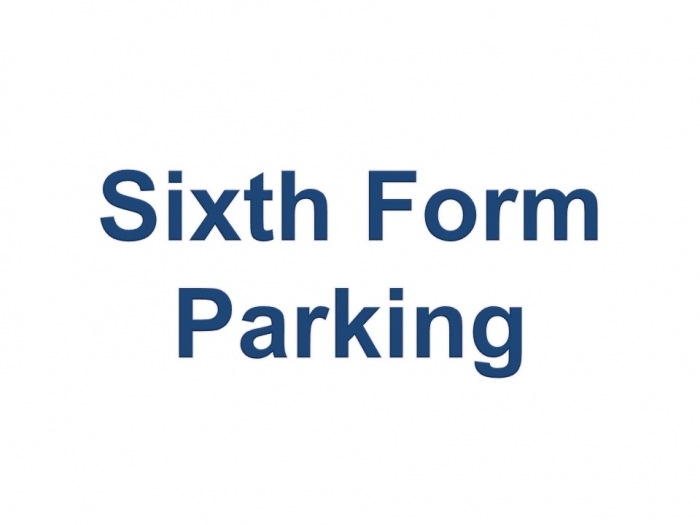 Please note that if a Sixth Former drives to school without a permit they will be given a warning on the first occasion and will be denied parking on the second occasion. We would appreciate the support of parents in this matter. This is so we can discharge our responsibilities to everyone on school premises as well as to individual drivers. Sixth Formers who have permission from the College to drive to school are issued with a fob to allow access. The cost of this makes up the majority of the £30 parking permit. We will provide a refund of £10 for used fobs in good condition returned to us by Sixth Formers once they are no longer required. Fobs should be returned to Miss Browne in the School Shop by the end of term, Wednesday 3 July 2019. The last week of the academic year (27 June to 3 July) is Activities Week. Normal classes are suspended, and a wide variety of activities are provided for Lower Sixth students. If you have any queries about Activities Week please do not hesitate to contact me. If you need to make any changes to your UCAS application please follow this link for advice. Work Experience Placements at Princethorpe College, as part of our Careers programme, take place at the end of Year 11. We believe that all pupils can gain immeasurable benefits from their placements; not only can a good placement teach a pupil a lot about an area of work that he or she may be interested in, but it can also develop communication skills, self-confidence, initiative and teamwork. Many thanks to all Year 11 parents for helping your son/daughter to find a work placement. These can be done at any time after the last GCSE exams, at any point in the summer holidays to fit in with family plans. We normally expect at least one week, although historically we have had many undertake more than this, often in more than one placement. Such experience is invaluable for considering a future career path, getting used to the world of work, and for references. So that I can complete the necessary paperwork, possible references and so on, I'd be grateful if you could you let me know the company name and contact details, for the placement(s) you have arranged either by return of the slip attached to the letter sent to you in June, or by email to me at miketaylor@princethorpe.co.uk. If you need a hard copy of the original letter, please could you ask your son or daughter to ask me for one at school. Sixth Former Dominic Turner-Burr has put his best foot forward and so far raised over £1,000. Dominic’s mammoth fundraising efforts were inspired by a desire to make a difference after finding out about the work of the Life Charity and Mary’ Meals in presentations at school. First, on Sunday 10 March Dominic took part in the Mary’s Meals challenge of walking 24 miles in seven hours. Despite the inclement weather and challenging terrain, Dominic successfully finished the course raising £384. Then just four weeks later on Sunday 7 April Dominic took on the Regency 10km run. 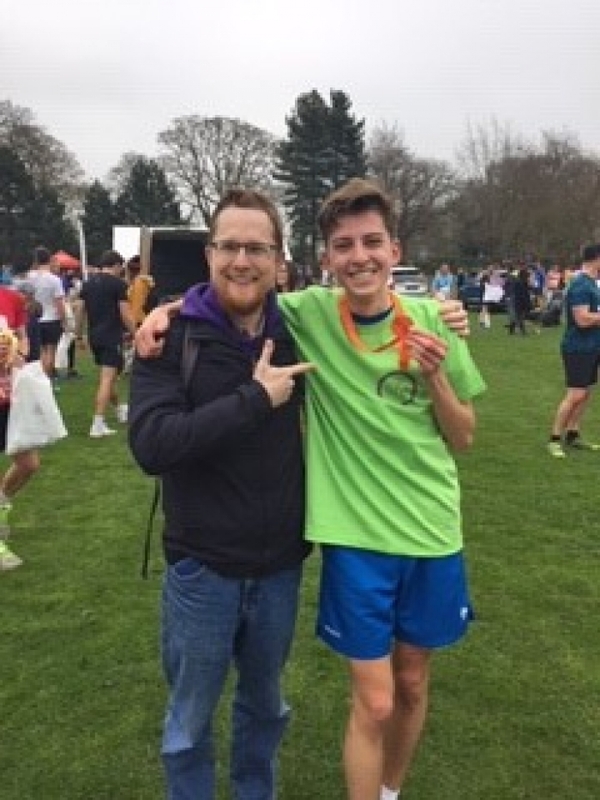 He joined almost 2,000 runners on a course around the streets of Leamington Spa coming home in a new personal best time of 42.30 minutes and raising £680. What a fantastic fundraising effort! Many thanks to all the pupils, parents and staff who donated their left over foreign currency. Together you rounded up £231.85 which was gratefully received and has been donated to the SVP organisation. All the money raised supports the work of the Youth SVP in the UK, of which our Youth SVP group is a part. Click here to discover what the SVP organisation is about and how the donations will help. 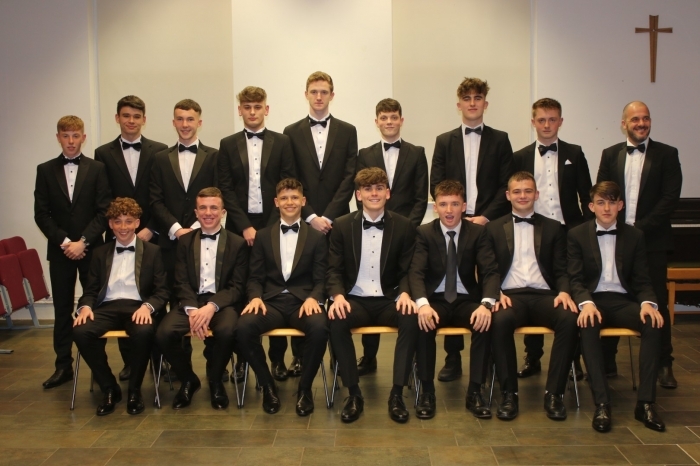 The College’s First Team Dinner took place on Monday 8 April in the Sixth Form Centre. It was an opportunity for Director of Sport, Neil McCollin, and the PE and Games staff, to thank pupils for their longstanding commitment to sport here at Princethorpe, to reflect on their many talents and to wish those moving on at the end of the year well. 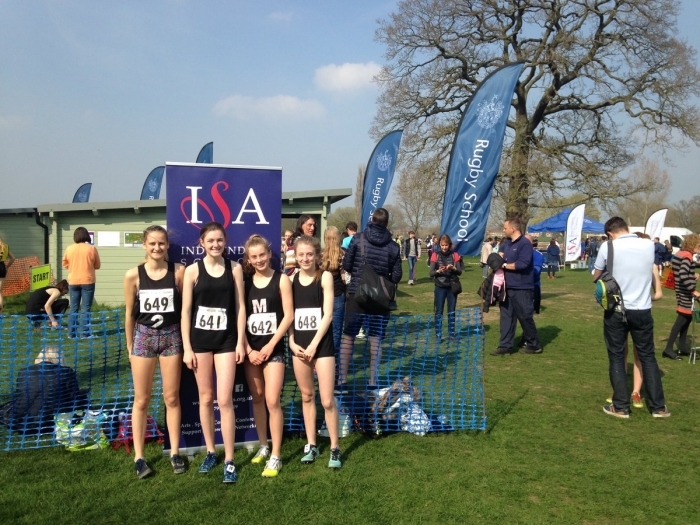 Princethorpe College’s pupils achieved a stunning six top ten finishes in the Independent Schools Associations’ National Cross Country Championships on Saturday 30 March. 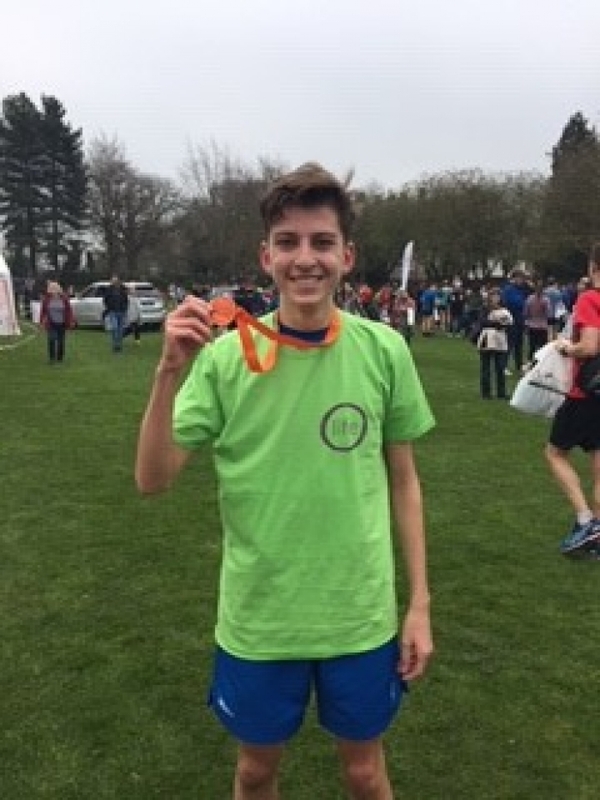 15 pupils had qualified to represent the Midlands team running in the U18, U15 and U13 Boys and the U15 and U13 Girls races against regional teams from all over the country. 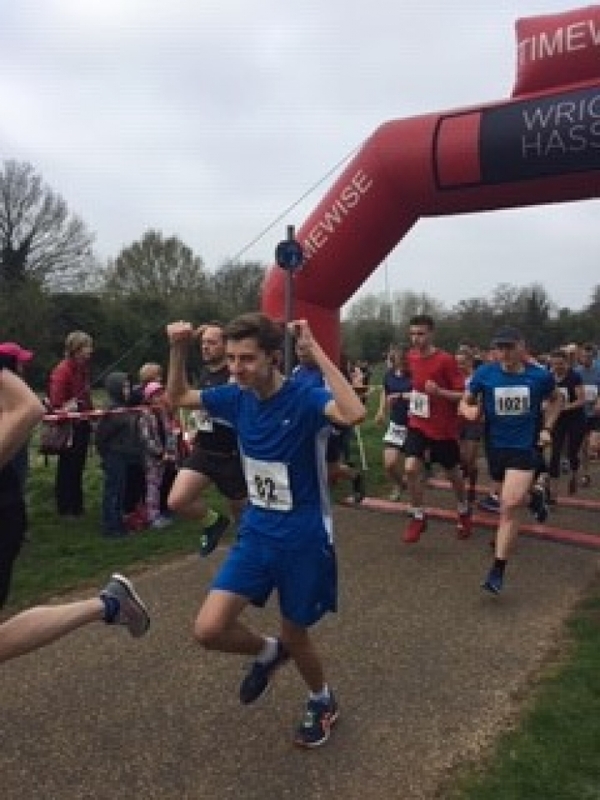 Always a hotly-contested competition, this year’s event took place at Rugby School and attracted 604 runners from independent schools. 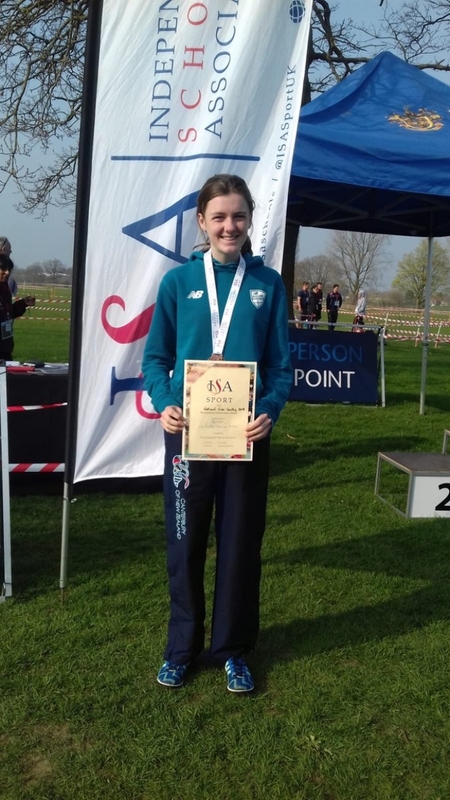 Against a field of 66 runners, Year 10 pupil Molly Minshull delivered the best finish of the day running the U15 Girls 3km course superbly to finish in 11.48.98. She claimed third place and a well-deserved bronze medal. 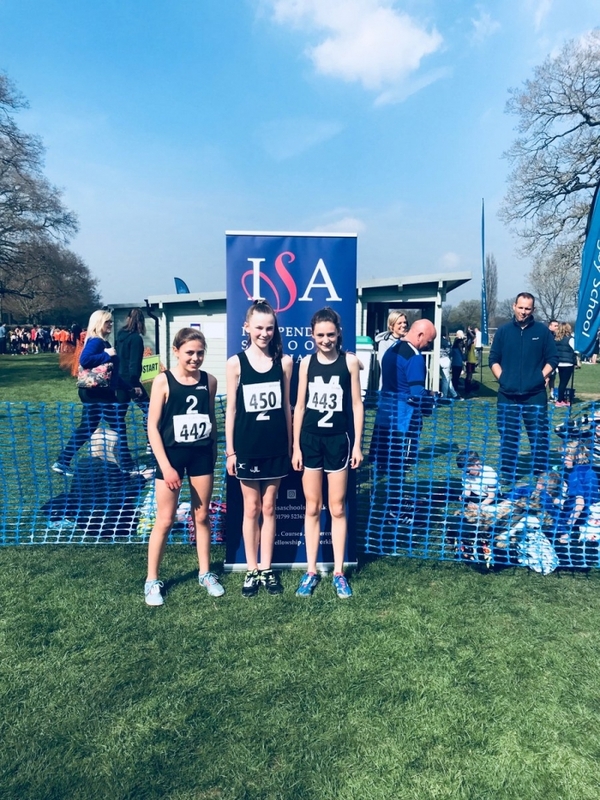 Following her over the line were Year 9, Evie Phillips who finished 9th and Year 10s, Eve Howard in 27th and Erin Darcy 34th. Running in the U13 Girls 2.75km race Year 7, Kate Pomerleau and Year 8s Grace Darcy and Julia Loftus ran excellent well-paced races, Kate finished 8th in 10.28.13 with Grace just behind in 10th and Julia 17th from a field of 62 runners. In the U18 Boys the Crowfoot brothers finished their 5km race in 6th and 7th place. 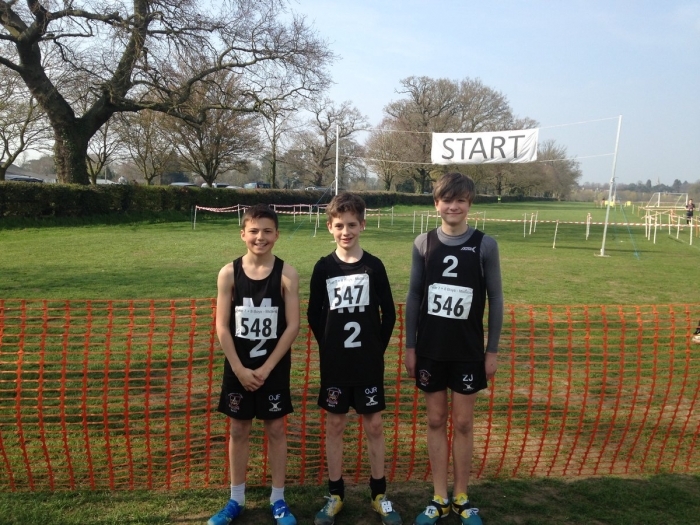 Tom ran the course in 18.06.10 Will crossed the line just 2.04 seconds later in 18.04.14. Fred Self finished 23rd out of a total field of 50 runners. 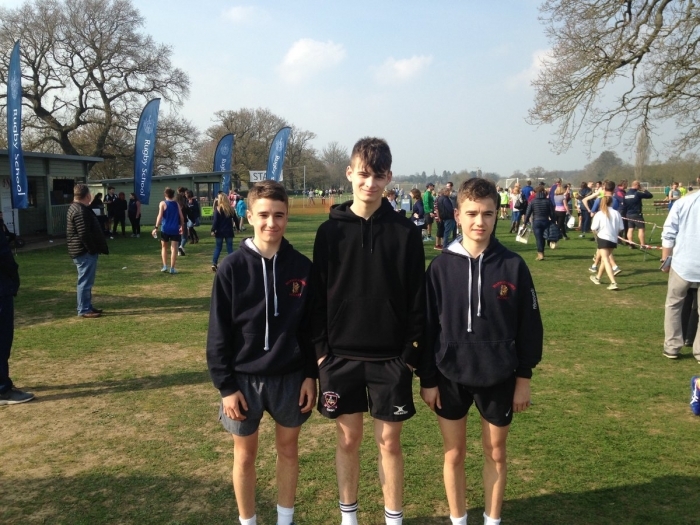 The U13 Boys ran a 2.75m course, Year 8, Zac Johnson finished 22nd and Year 7s, Oscar Reynolds and Ollie Farquharson finished 49th and 52nd respectively. 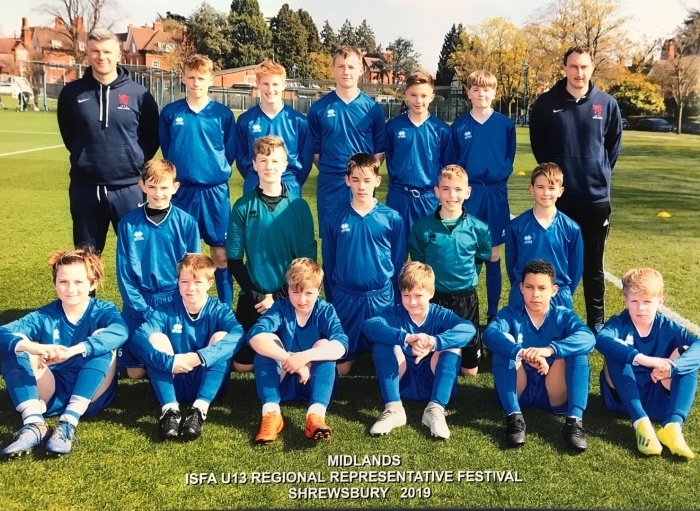 The 2019 Independent Schools Football Association (ISFA) U13 Regional Football Festival took place at Shrewsbury School between Saturday 6 and Monday 8 April 2019. 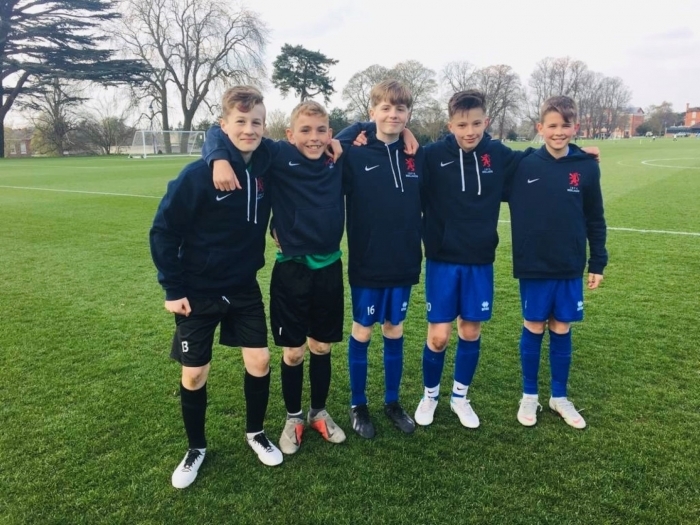 Playing in the Midlands Regional Squad of 15 were five Year 8 boys, Joseph Bird, Alexander Hammond, Barnaby Hammond, Finn Osborn and Jamie Robinson. 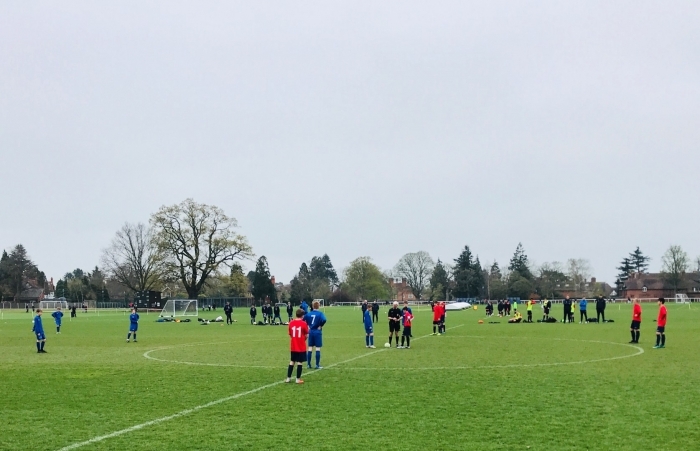 Princethorpe’s boys were pitched against representative teams from across the UK regions including teams from Hertfordshire & Essex, London, North West, East, South Central, South East and the South West. Shrewsbury School provided an excellent setting for the Festival with its outstanding facilities located on the banks of the River Severn. 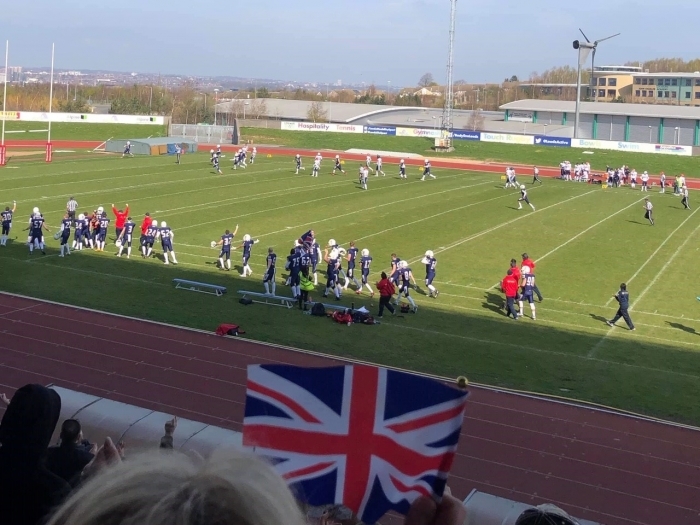 As a football festival, the tournament was all about playing the game, so no results were formally recorded and there were no final winners but standards were high. Over the three days a total of 28 matches took place and 140 players took part. 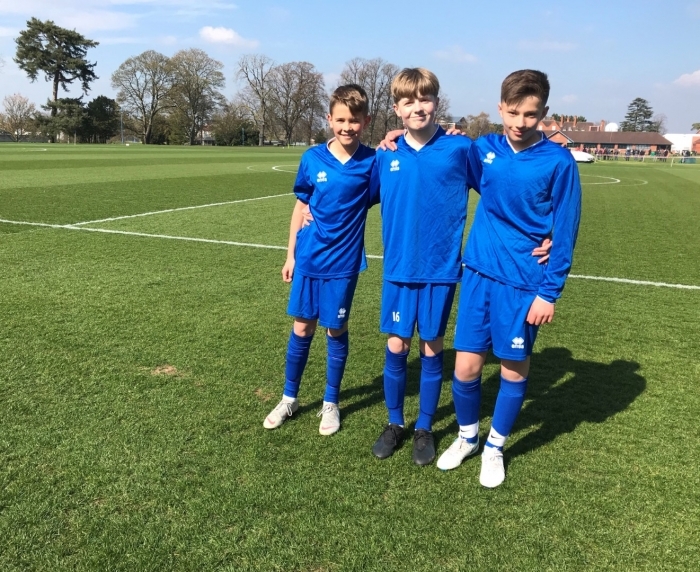 The boys now have to wait and see if they are selected for the A team to represent the ISFA nationally against the Welsh Schools in May or whether they make the squad of 50 players who will attend the training camps held during the summer holidays. What a great experience for all the boys. Every year we are delighted to hear of pupils’ triumphs securing much-coveted places in the County Hockey squads. Earning representative honours is no mean feat. All those selected will have school and club commitments; they will have attended extra trials and training sessions before finally being chosen for the squad. Those who win through participate in the England Hockey’s ‘Player Pathway’, a programme that provides Development Centres and Academy Centres as progressive staged steps to help all junior hockey players realise their potential. U14s Sophie Gray, Tilly Houghton, Grace Thomas, Evie Phillips, Lara Tripp-Smith and Molly Harper who recently represented Warwickshire against Northamptonshire. 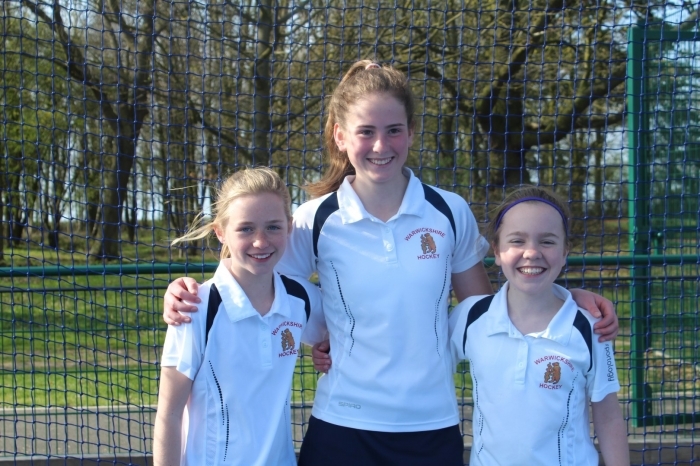 U13s Georgia Dowling, Alice Whittaker and Jess Evans who played Shropshire, Derbyshire, Nottinghamshire, Leicestershire and Northamptonshire in the U13 County tournament. Head of Girls’ Games, Jen Law, comments, "Princethorpe College pupils have a passion for hockey, they show great enthusiasm and excellent technical skills which is regularly recognised by the County selection teams. I am really pleased to have such a depth of talent to call on for the school’s fixture programme." Congratulations to all who were selected this year. We look forward to watching their hockey journeys in the years to come. Seven Warwickshire primary school teams took part in Princethorpe College’s High 5 Netball Tournament. 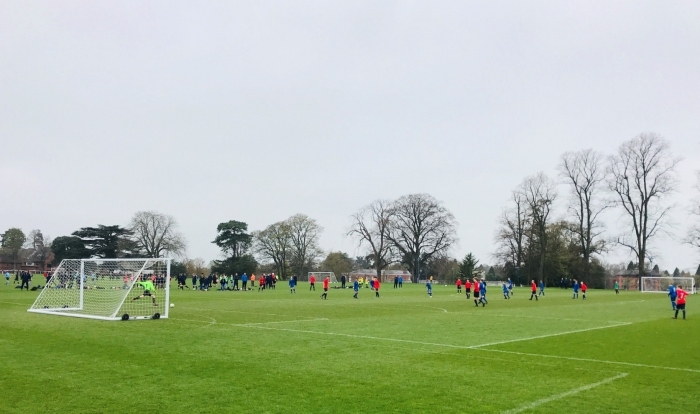 Defending champions Welford-on-Avon Primary School were joined by Ettington Church of England Primary School, Our Lady’s Catholic Primary School, Milverton Primary School, St Mary’s Catholic Primary School and two teams from Claverdon Primary School. The competition took place on Monday 1 April on the College’s outside netball courts in glorious late afternoon sunshine. The teams had the chance to test their skills against their opponents in a round robin of matches playing to High 5 netball rules; a popular entry format of the traditional game that has players rotating positions and ensures the ball keeps moving. With vocal support from the side-lines, the children threw themselves enthusiastically into the matches clearly enjoying the competitive nature of the tournament. Claverdon started well with both teams winning their first round matches, Welford-on-Avon and St Mary’s quickly followed suit. Umpired by Princethorpe’s Young Sports Leaders, you could see the children’s skills developing game by game as they took on board feedback and suggestions. Each team played six 10-minute matches. Welford-on-Avon played with flair and enthusiasm and finished the competition victorious for the second year running. Well done to all of the teams on a super afternoon of sport and thanks also to Princethorpe’s Young Sports Leaders, Lily Dyble, Eve Farquharson, Molly Geehan, Sammy Inskip and Anna Wells for their help umpiring all the games. Any items of sports kit which have been sent into school for initialling will be ready for collection from the school shop on Monday 29 April 2019. The Duke of Edinburgh’s Award Bronze Practice Expeditions are fast approaching. I do hope that your son/daughter has passed on the information discussed in our recent meeting. Please find a copy of the presentation here for your reference in addition to the kit summary. Please arrive at the Sports Hall for 9.00am to meet your instructor. The group and individual kit being borrowed will be handed out. Instructors and PC staff will spend time with you helping you to pack your bag. There will be plenty of time to get things organised. Those borrowing rucksacks should please bring your personal equipment and food in waterproof bags, ready to be transferred into your rucksack. Pupils will then head out on their routes, initially with direct supervision. Pupils will return on Sunday by 4.00pm although some groups may finish a little earlier. You will need 1 breakfast, 1 evening meal, 2 lunches and snacks. In addition to the attachment, you might find the following link useful in helping you to make good decisions regarding kit: www.dofeshopping.org/expedition-kit. Please note the school will not make claims for items such as laptops, PDAs, smartphones and cameras and other expensive personal possessions and other expensive personal possessions under the travel insurance as we wish to maintain our claim record. Parents should ensure that personal possessions are covered through their own insurance. The use of mobile phones on the expedition is only permitted in case of an emergency. Phones will be sealed in a plastic bag for the duration of the trip. I am sure you will agree that this measure significantly adds to the sense of adventure and independence the expedition fosters. For news, updates will be provided via the @PC_Outdoors Twitter account. We do hope this helps with your planning and very much look forward to the expeditions. The Duke of Edinburgh’s Award Practice Expedition is fast approaching. I do hope that your son/daughter has passed on the information discussed in our recent meeting. Please find a copy of the presentation here for your reference. Please arrive at the Sports Hall by 4.00pm on Friday 26 April 2019 in order to meet your expedition leader, complete kit checks and prepare to depart. 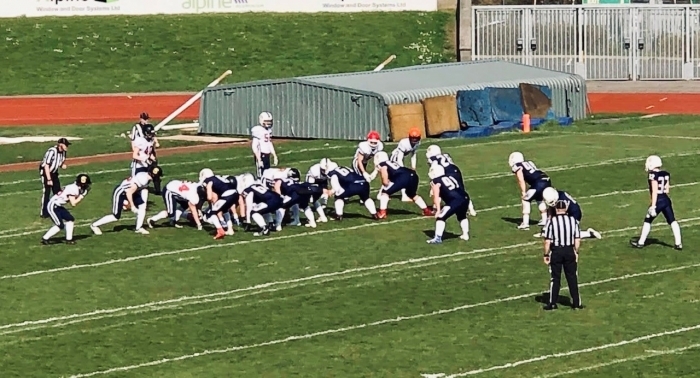 Pupils will return on Sunday 28 April 2019 at 7.00pm. Kit: Some of you have ordered equipment to be borrowed and this has been distributed in school. Please refer to the kit summary and the thorough DofE kit recommendation list for further help. You may also find the following link useful in helping you to make good decisions: www.dofeshopping.org/expedition-kit. Group kit: tents, stoves and fuel will be provided at the campsite in the Peak District. Food: As a final reminder, participants are expected to bring two breakfast, lunch and evening meals to cover their trip plus snacks. Outdoor cooking is part of the challenge, pot noodles are not considered an acceptable source of energy! Mobile Phones: The use of mobile phones on the expedition is only permitted in the case of an emergency. Phones will be sealed in a plastic bag for the duration of the trip. I am sure you will agree that this measure significantly adds to the sense of adventure and independence the expedition fosters. For news, updates will be provided via the @PC_Outdoors Twitter Account. Please note the school will not make claims for items such as laptops, PDAs, smartphones and cameras and other expensive personal possessions under the travel insurance as we wish to maintain our claim record. Parents should ensure that personal possessions are covered through their own insurance. Dates: As a final reminder for future expedition dates, the Expedition Review and Qualifying Route Planning takes place on Friday 10 May 2019 from 4.00-7.00pm and the Qualifying Expedition is Friday 28 June, departing at 6.30am and returning Sunday 30 July at 6.00pm. I would like to take this opportunity to remind you, particularly those new to Princethorpe College, about the wide variety of Co-curricular activities and clubs that are on offer during lunch time and after school. Not only is it a good way to try new activities but it is also a great way to make new friends. A list of all the Co-curricular activites can be found at the front of the Lent 2019 Termly Calendar which you will have received by post over Christmas. Alternatively, click here to view an electronic version. At this moment in time, pupils in Year 7 are looking at castles throughout the medieval period and their impact on the people that lived in and around them. Currently, pupils are working towards completing a research project on a castle of their choice. In order to support this program of study, the History department have organised a trip to Warwick Castle on 5 June 2019. This is a fantastic opportunity to visit a local attraction that will help all pupils understand the significance of the structure and its impact upon life in medieval England. The role of Warwick Castle in the Wars of the Roses and its relevance to the story of King Richard III. All Year 7 pupils are expected to go on the trip to the castle as it is a central part of the study of history this academic year. The cost of the trip will be £20 per pupil, which covers transport, admission and guided tours/activities. The coach will leave Princethorpe College at 8.45am and return for 3.45pm. An electronic consent form will be sent by email and the £20 cost will be added to the Trinity term bill. The ski trip will return to school at approximately 5pm on Friday 19 April. Remember to follow us on twitter @ princethorpePE. There will be a meeting for next year’s ski trip on Friday 10 May 2019 in the Clarkson Theatre at 13.05pm. Any pupil currently in years 7 and 9 who is interested in joining the ski trip to Austria at Easter 2020 should attend for further information and to collect consent forms. Due to the popularity of the ski trip, places are likely to fill very quickly and a prompt return of the consent form and deposit is advised. Please contact me at catherinewarne@princethorpe.co.uk if you have any questions. Please see here for the planned school trips in the coming years. This document will be updated each term, but it should allow you to make an informed decision when deciding on trips for your child to attend. For any further queries, please do not hesitate to contact me. 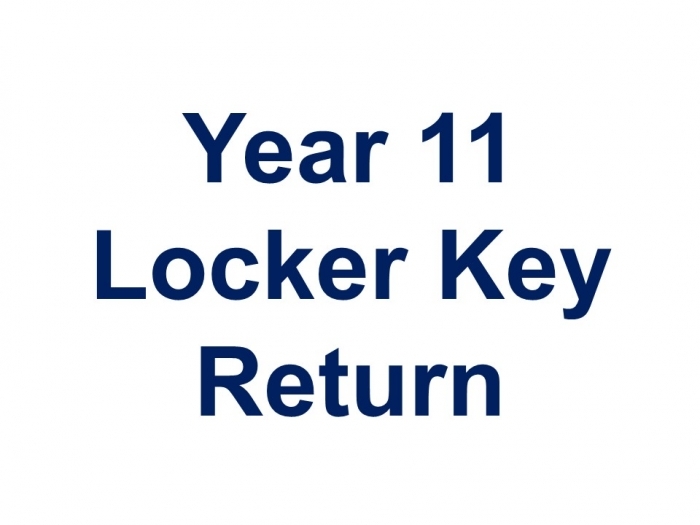 Please note that all locker keys from our year 11 pupils must be returned via their tutor prior to leaving for exam leave on 8 May 2019. If a pupil would like to keep their locker for sixth form then this should be confirmed with their tutor also. Should you know anyone who might be interested in these posts, please do share this information with them. Thank you to those pupils who have been and collected their lost property items from the Student Hub. We still have a large amount of unnamed uniform and non uniform items including some winter coats which we cannot get them back to their rightful owners. 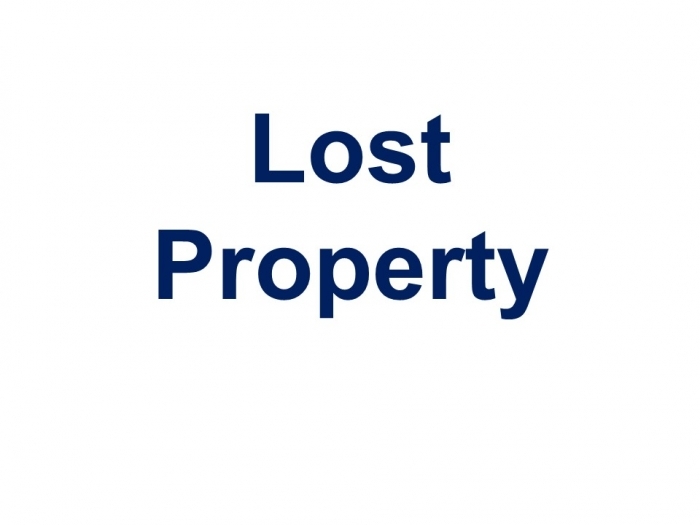 If you notice something hasn’t managed to make its way home, please do email us with details so that we can keep a look out to lostproperty@princethorpe.co.uk. Parents are reminded of the notice requirements according to our terms and conditions. Please note that half a term's notice is required if a pupil no longer needs to use the bus service provided by the school. This is particularly relevant for pupils in Year 11 and Upper Sixth who have exams in the Trinity term and for members of Upper Sixth who pass their driving test. For example, we need to be advised in writing before the start of the Trinity term if the bus service is not required after half term in May. Parents wishing to give notice should write to Barbara Bromwich in the Bursary or email buses@princethorpe.co.uk. To assist us with our planning of teaching sets and timetabling, please could you let us know in writing to Mr Hester by Wednesday 1 May 2019, if you do not wish to take up a place in the Sixth Form. This would meet the term’s notice of withdrawal as set out in our terms and conditions. All offers for the Sixth Form as you know, are provisional on GCSE results. 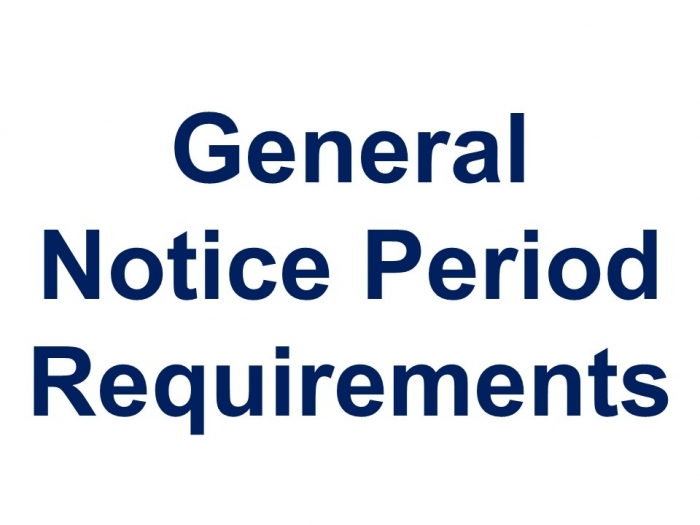 If the required criteria are not met the notice period will be waivered. If a decision is made not to take up the offered Sixth Form place even though the required GCSE results have been obtained and a term’s notice has not been given, you will be liable for the terms fees. Parents may recall paying a deposit when their son or daughter first started at the College. We will write to the parents of pupils in the Upper Sixth regarding instructions for the return of deposits next term and return them in the summer holiday. We will write to parents of Year 11 pupils who do not return to the Sixth Form in early September. Deposits will be returned at the end of September/start of October. Please can we remind pupils and students that if you are in possession of a bus pass for your travel to or from school then this must be carried at all times and shown when alighting the bus at Princethorpe in the mornings and before boarding the bus in the evening. For occasional bus use, tickets must be purchased in advance of travel from the School Shop. Tickets can be paid for in cash, by card or cheque or, if purchasing ten or more tickets at time, they can be added to their account. Failure to carry passes or have bus tickets in advance of travel can cause delays in getting pupils into school in a morning and could delay buses being able to leave at night. We have an ‘Emergency bus list’ for pupils that have unexpectedly had to travel by bus. Please note that using the emergency bus list on more than four occasions in any term incurs a £1 administration charge per journey. 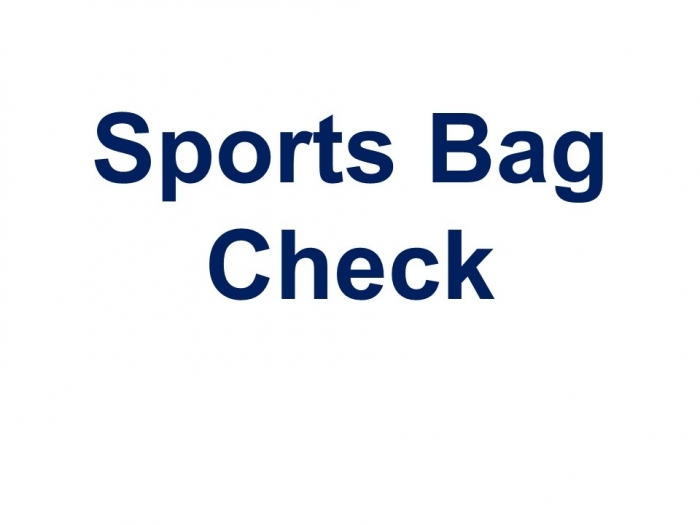 Please can we ask you to check your child’s sports kit over the Easter break to see if you have inadvertently ended up with any other pupil’s kit. If you have any items of kit that do not belong to your child please can you pop them in a carrier bag that can be dropped off at the Student Hub on the first day of term so that we can get them back to their rightful owners. Please note that the School Shop will be closed from 4.30pm on Wednesday 10 April 2019 until 10.30am on Monday 29 April 2019. 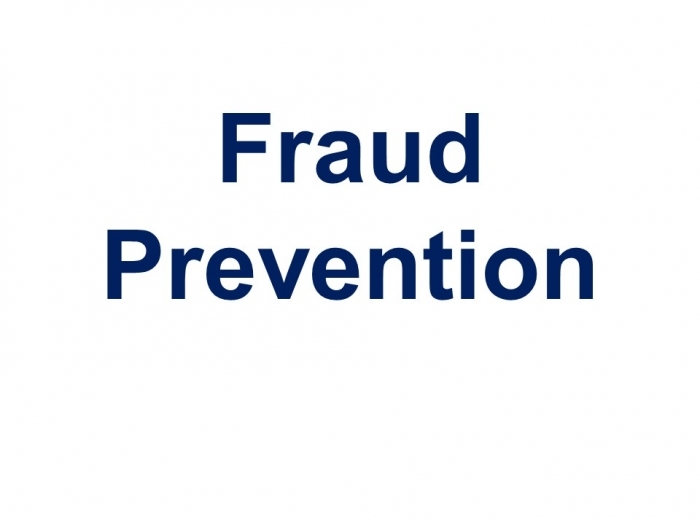 Parents are asked to continue to be vigilant in respect of any communications purporting to be from the Foundation requesting money that do not match our normal procedures. Please do not hesitate to contact the Bursary if you have concerns about any communication you receive and in particular if you receive any request for payment of funds outside our normal routines. Please note the College is closed for the May Bank Holiday on Monday 6 May 2019.